Yes it is a bit off topic, I found a site that allows editing the Star Wars generic and other, look LSMaker's homepage. Otherwise I found a map of the Galaxy, perhaps helped ca even if I think that you have the y take a look. 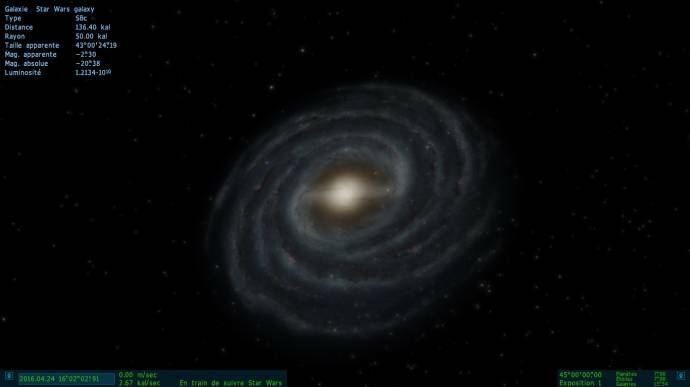 And a site for planet but it is French : Galaxie Encyclopédie Star Wars Universe and a galaxy map interractif in Fench Atlas galactique Anakinworld. 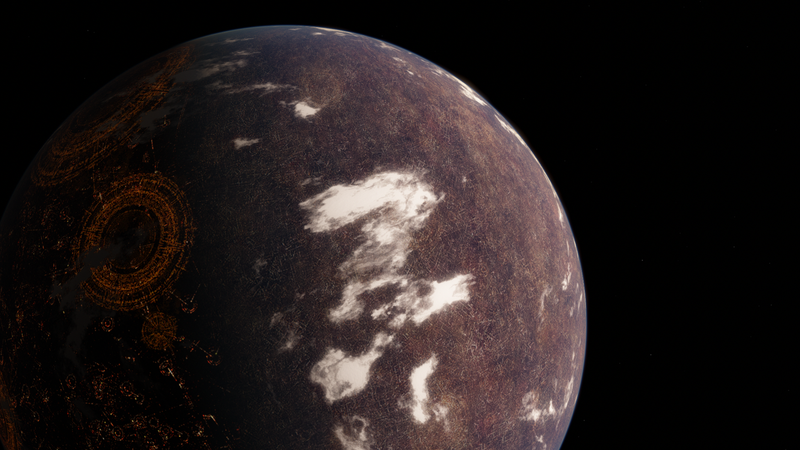 In fact for the destroyed planets, the one could be replaced by an asteroid belt (Alderaan by Death Star and Hosnian Prime and other planets for Hosnian's system by Starkiller) and the Starkiller by a star. 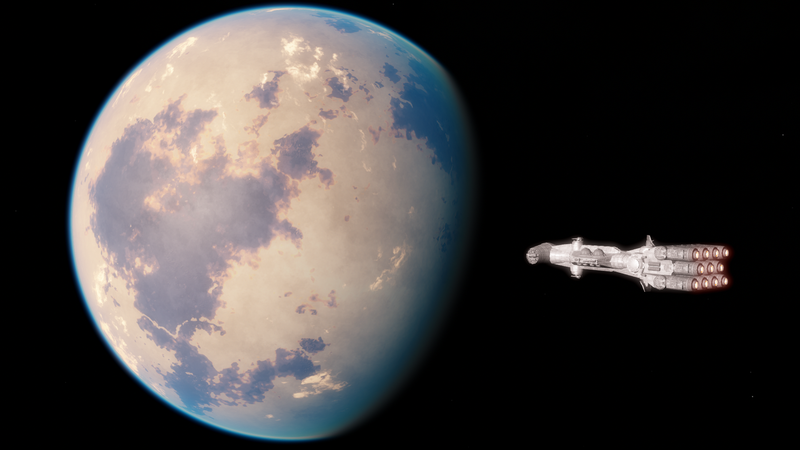 Star "Mira A/HIP 10826/HD 14386"
I have an update for planets with organic life, I put the composition of the atmosphere with Earth's atmosphere, I also did the "asteroid belt" of Alderaan. Put CatalogsSW.pak on addons folder, no on addons/catalogs. I made the Naboo system even if there are missing data, if someone has more thank you to update information system. In fact, the project is dead ? Kamino are yet broken D: How to fixe it we wait until release. JackDole posted a fix for the missing bracket in another thread I think, however this whole addon needs a lot of updating for 0.9.7.4. I have the system 'Kamino' corrected. The problem was the Planet 'Mira'. There is a real double star with this name. Apparently was 'SpaceEngine' confused thereby. 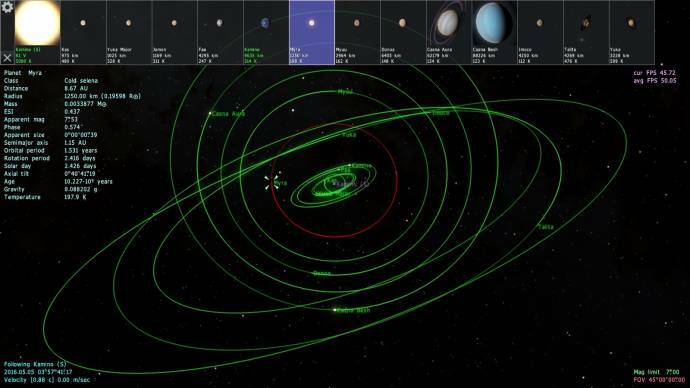 I have these planet in 'Myra' renamed. 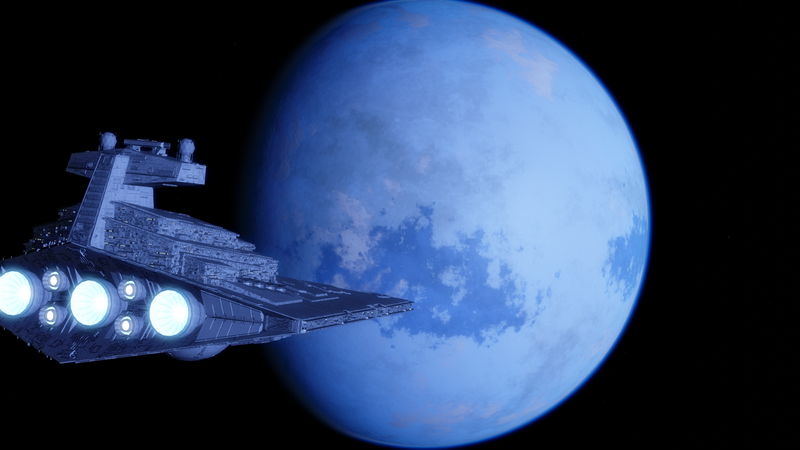 Rename the attached file to 'Kamino.sc', and put it in the 'addons\catalogs\planets' folder. Due to a bug in 'SE 0.974 RC2', models '.cfg' files do not work properly within '.pak' archives. The file 'Star_Wars.cfg' must be copied from the '.pak' archive in the folder 'addons\models\galaxies'. Not as long as you continue to work at it. Seriously, I put 3 post above to set the Kamino system, I can not do better. To prevent other people do not ask this question, I have included in the pak Mira system that corrects this problem. 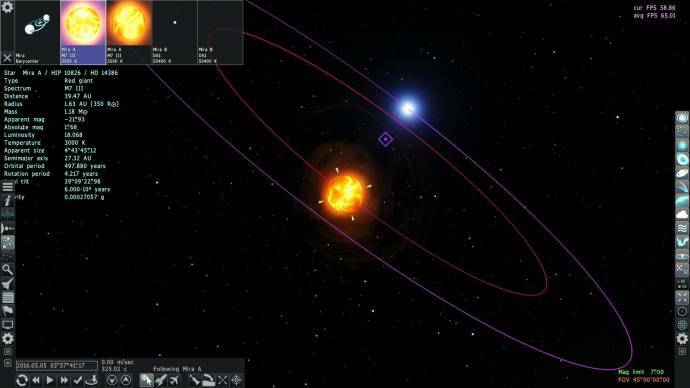 Certainly yes but this was easy because there was already the star Naboo (S) but then I can not do anything more because even with the map, necessary to position these objects from the Sun (our Sun ), I hope there will soon have an update when we can to define to place objects Reference "Star wars galaxy" for example. Due to a bug in 'SE 0.974 RC2', models '.cfg' files do not work properly within '.pak' archives.The file 'Star_Wars.cfg' must be copied from the '.pak' archive in the folder 'addons\models\galaxies'. It work for me in the pak. sorry, I had not seen your post, with the 'Mira.sc' script. I have now tried the script. I have two 'SE 0974 RC2' installations. In the first I have your 'CatalogsSW.pak' file. There it does not work. The second is the installation with which I work. But I really do not know why it works in this case at all. I see no reason that it works. Another big secret! For me it does not work. But I suppose it might depend on other addons that are there. 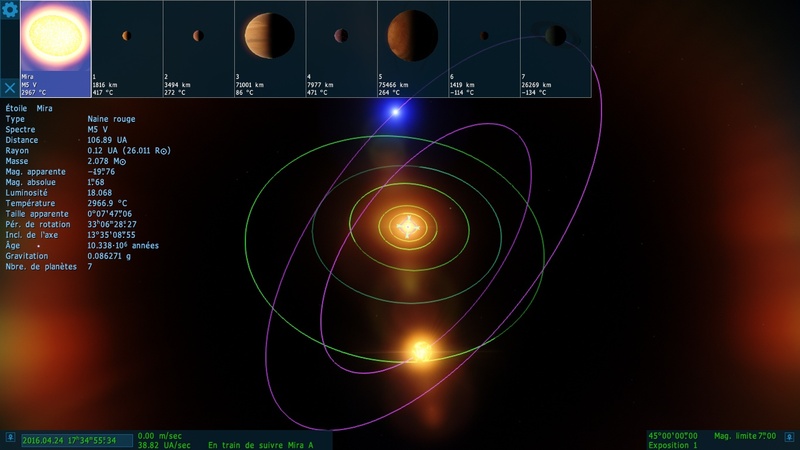 I had not explored the Mira system and I just noticed the problem -thanks JackDole-, strange, yet just copy paste Mira and replace them ParentBody by Stella Mira. 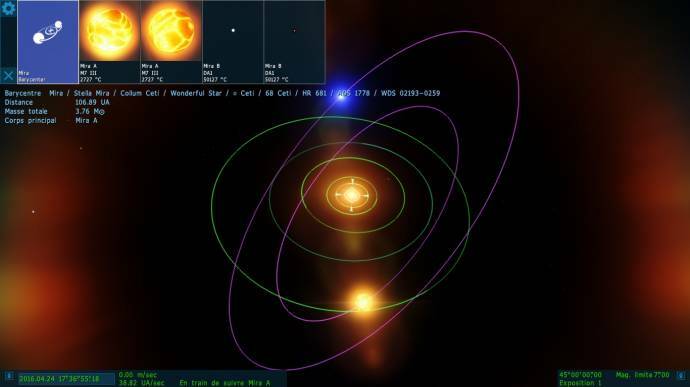 StarBarycenter "Mira/Stella Mira/Collum Cet/Wonderful Star/OMI Cet/68 Cet/HIP 10826/HD 14386/HR 681/ADS 1778/WDS 02193-0259"
but still nothing it is a bug ? Thanks, it is work ! Update in the pak. 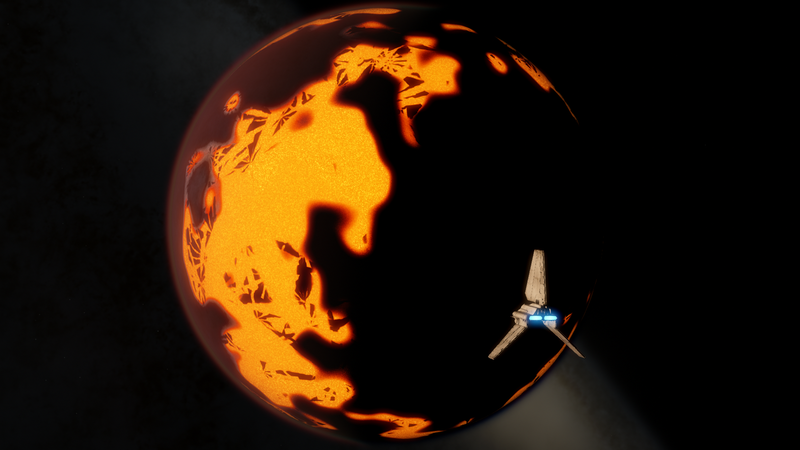 Why not just use the procedural based lava and thermal glows? 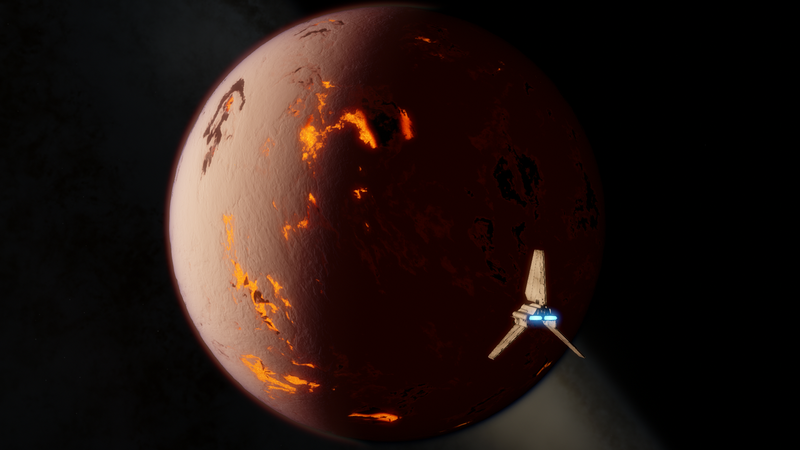 I am sure it is possible to replicate the look of Mustafar without having to use a surface texture.